Early morning and late in the afternoon with dusk creeping in, with the wind whistling through every open space, the melodies of numerous birds, the calls of animals echoing in the hallways and the hiss of the waterfall, guests are led to the bottom of the slope where 'The Enchanting Forest' tour begins. A stone paved pathway climbs to snake through the gnarled overhanging vines beside the stream. 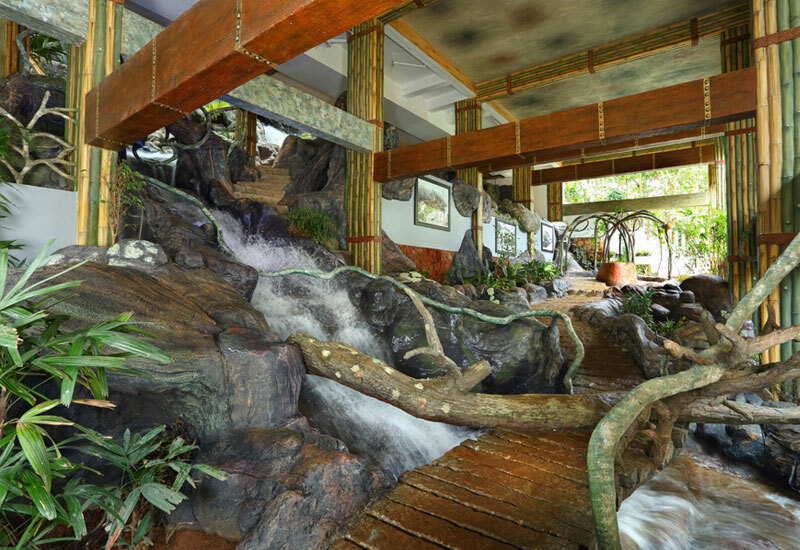 Guests arrive at a plane where framed historical photographs of Munnar are displayed on the entire length of a wall. 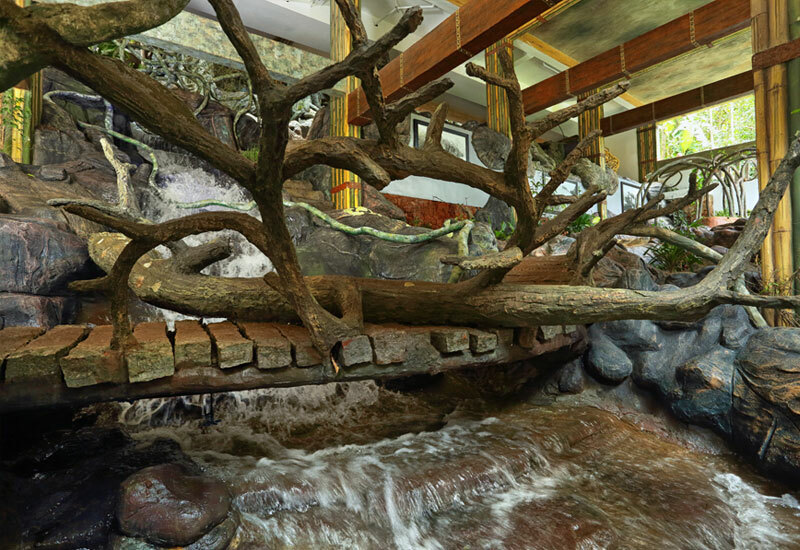 From here a bridge overlaid with stone slabs leads guests higher up the slope with the stream flowing beneath. Ceilings in each stage of the journey are painted, inspired by different elements of nature. Pillars formed of bamboo entice guests to go further. Sturdy wooden rafters with decorative copper colored bands stretch across overhead to join the walls on two ends. 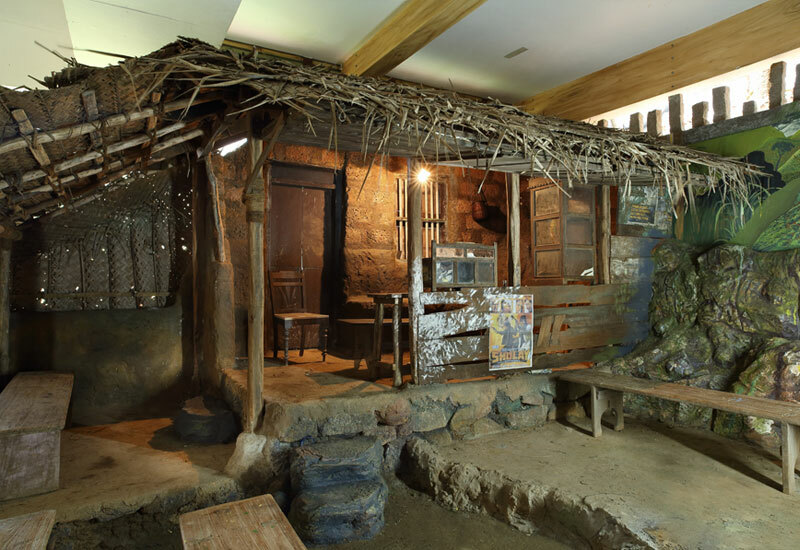 On one side sits the resort's coffee shop, built of wood and stone and designed like a rustic eatery popular in Kerala. Rest awhile. Going further and further upslope, the clusters of vines get thicker and the vegetation lush. The hiss of water and the primal sounds of a forest and the whisper of the wind - ominous. 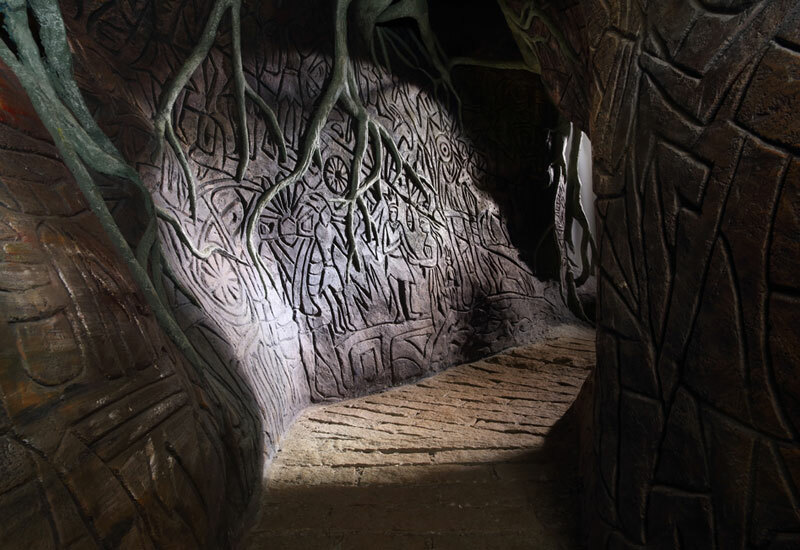 Guests will then pass through a cave, the walls engraved in the manner of Paleolithic cave etchings. 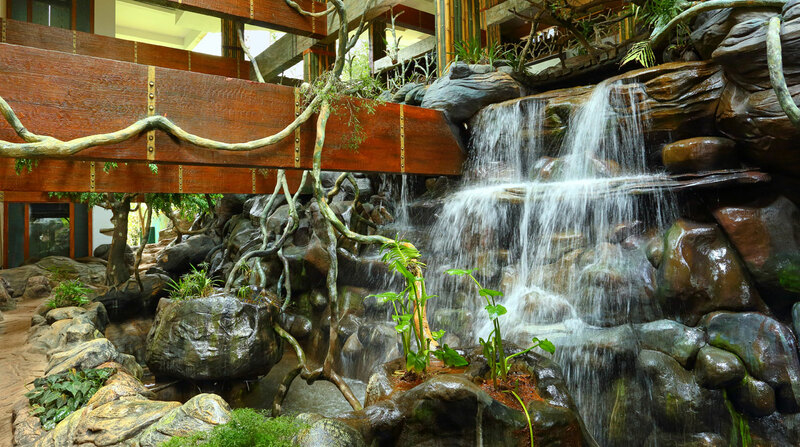 Emerging at the top of the slope, the source of the waterfall, guests have left the enchanted forest bearing memories for a lifetime.